I know it's already half way through the week & the weekend is soon drawing near, but I wanted to share with you some Instagram snaps of this past weekend. It wasn't too crazy, but it was a nice mix of relaxation and productivity. Here is what I did! 1. 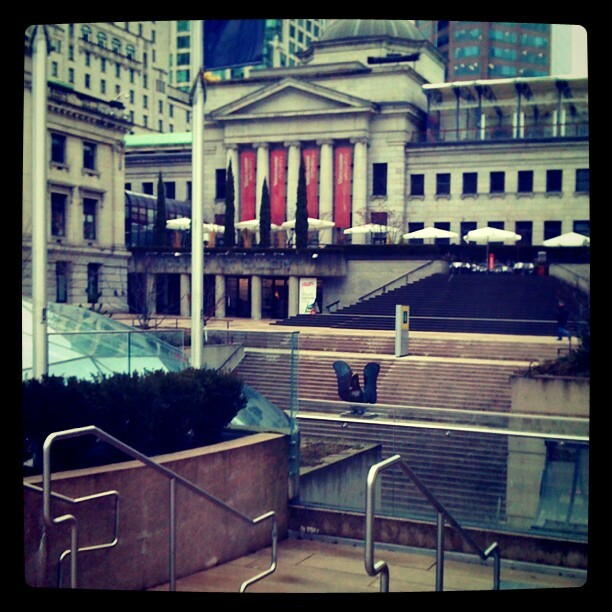 Adventures downtown, which included a soy chai tea latte at the Vancouver Art Gallery. 2. 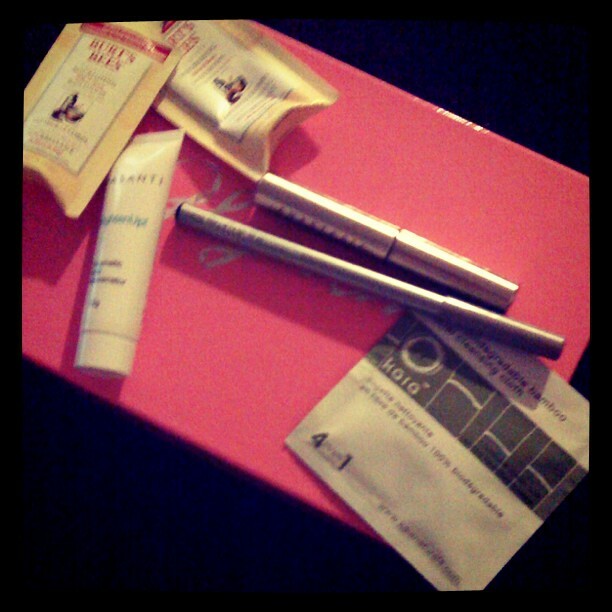 January Glymm box has arrived! I wasn't super impressed with this one (although it is only my second box), and I am unsure of whether I want to subscribe again for February. I should decide & cancel soon, though, otherwise it will pop up on my credit card statement soon. 3/4. 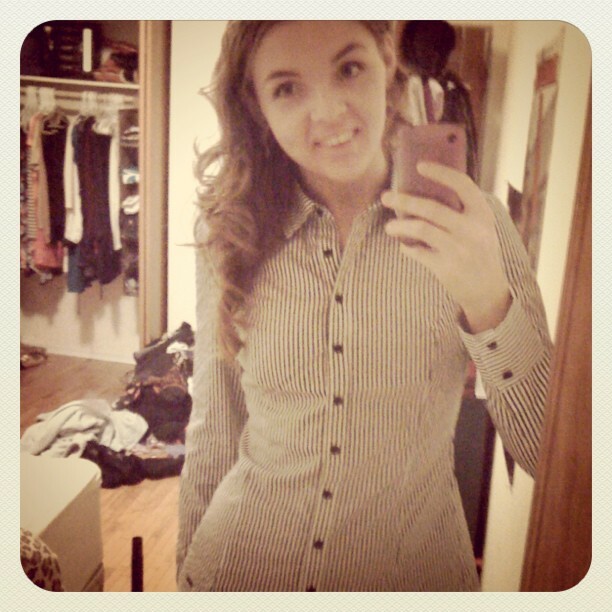 Outfit for work! 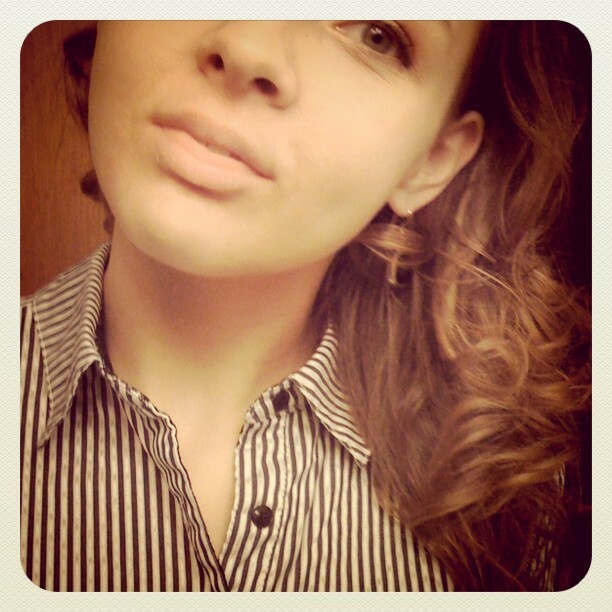 It's amazing how I can still get ready when functioning only on coffee (or so it seems). And plans for THIS weekend? Well, a movie night with a good friend is currently on the schedule. On a good note, however, I registered for the last three classes I need to complete my program at school. I will officially be finished on June 28th of THIS YEAR! Yay! Thank you, VCC, for offering all the classes during the 2011/2012 year & not skipping any. This makes me quite happy and excited to move on with my life and future career!